This site covers 12 counties of NE PA also known, as The Pocono Mountain Regon and as Upstate PA. UpstatePA is a new designation given to the area by the State. It includes key counties such as Wayne, Pike, Carbon, Monroe, Lackawanna, Luzerne, etc. 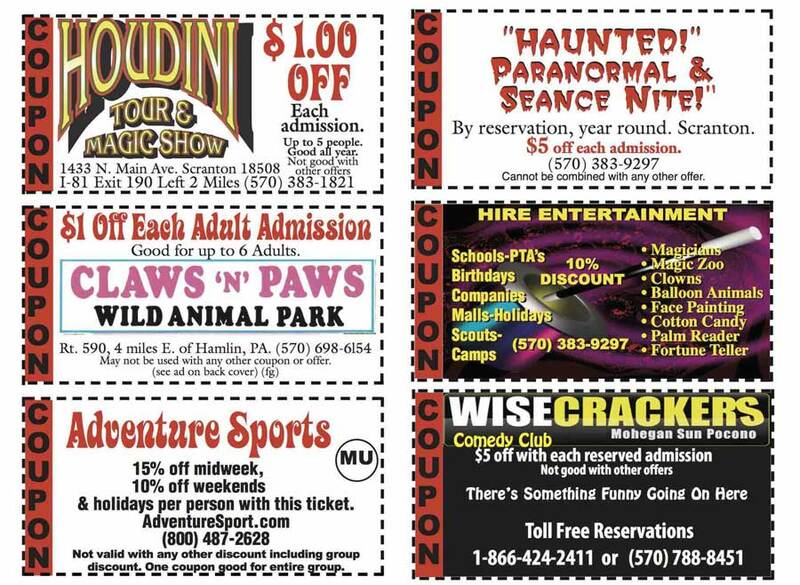 The coupons above cover day and night time activities. Nitelife activities are limited in the area, but what nite life is available is excellent, but be sure to call first.